Today, we’re talking about the SL Mercedes classic models 113, 107 and 129. Starting with the Mercedes SL113, otherwise known as Pagoda. Our experience is that demand remains strong for correctly presented cars at a fair and correct price point. We have seen a levelling off of the prices, but there hasn’t been any adjustment of those prices. What’s important is, the vehicle has to be right for the enthusiast, not just for the investor at this time. 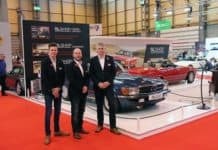 In the past, a number of vehicles would be purchased by ‘investment’ types of buyers, but now the balance has certainly swung back towards the enthusiast owner. And for that reason, the vehicle has to be right. It has to drive right, it has to present well, it has to be reliable, and ultimately, free of any major issues. And there are certainly a number of vehicles out there that still tick the boxes for SL Pagoda buyers. The other thing to bear in mind of course, is cost of parts and restoration continues to go up as skills to restore these cars are difficult to find and parts get even more difficult to source. So the cost of restoring a Pagoda to a high standard still far outweighs some of the cars at the higher price point. And for this reason, we feel that Pagodas remain a sure-fire bet for future investment. Turning to 107 SLs, the market continues to grow. 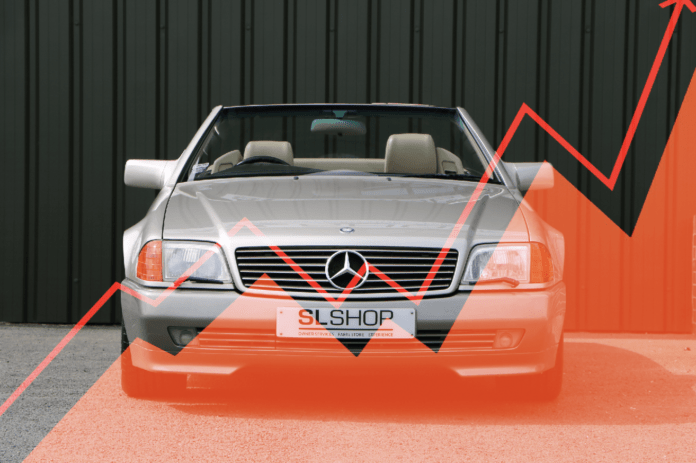 The SL shop continue to sell one or two vehicles a week at the higher price point, at the higher condition calibre. We have a waiting list of people who are looking for ultra-low owner, ultra-low mile vehicles, and we are certainly noticing a trend towards earlier vehicles, such as vehicles from the early 70s and the early V8 vehicles. These are certainly more in demand in interesting colour ways, with the chrome wheel embellishments and lack of headrests, those vehicles really are on people’s radars. 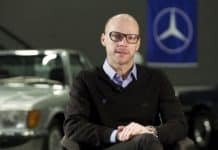 There are also similarities between the cost of putting an average 107 right, versus the cost of buying a correctly stored, maintained and presented car in the first place. It’s simply not worth trying to buy a lower value SL107 and trying to turn that vehicle into a good one. The maths just doesn’t work. Blue, black and silver remain the most popular colours, often with a contrasting interior, and that trend hasn’t changed at all in the ten plus years that we have been selling SL 107s. 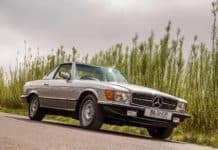 Again, like the Pagoda SL, we are starting to see a definite balance shift back towards the enthusiast owner; the couples that want to drive the vehicles at the weekend, go on trips and on tours, and not just park the vehicle under a sheet and hope that it increases in value. And that’s simply great to see. 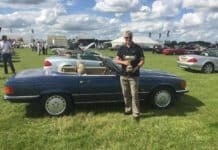 The wider interest that there is in 1980s classic cars is certainly spilling over, and those of us that remember a 107 SL as being highly aspirational, incredibly expensive when new, are the kind of people that are now able to buy a classic SL and use those vehicles on lazy Sundays, for fun trips or for tours, and we are certainly seeing an increase in people making enquiries about these 1980s SLs. 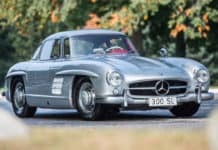 Turning to the 129 SL, the market has remained the same. Investors are looking to acquire high-spec, high-end, either very early or very late V8 examples of the 129, with perfect provenance. In the middle market, there is a growing number of people who see a 129 as a very ‘useable’ vehicle. 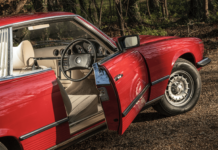 Features such as an electric roof, power seats, heated seats, and ABS as standard mean that the vehicles do appeal to a more practical classic car buyer. At the lower end of the 129 market, the cost of repairing electrical units can be prohibitive to some of those vehicles. 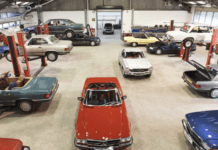 Overall some of the factors that have influenced the wider market don’t seem to be affecting the classic SL market, and we remain committed to our customers to make sure that their vehicles are maintained to a standard that helps them use and continue to invest in their pride and joy. Tempted and want to buy an SL? Visit our showroom to see available cars. Next articleThe R107 SL SportLine – Why?